….as in a tennis or squash racket? But yes, here is another example of, well, when there is no limit to what the human mind can conceive and construct with which to create cool music. This morning my Mom sent me a link that included a youtube link, featuring this wonderfully talented young lady. She uses her feet in a most creative, entertaining, and imaginative way! As she charmed her audience, so indeed did I fall under her joyful spell…. I’ve been noticing all kinds of cool street art these days – notably lots of it in Iceland, which I just recently visited – hence, no new blog posts from me over the past several days. It’s great fun to see the variety in subjects and different styles used; it adds another layer of interest to small towns and bigger cities. Once I have organized my photos from my Iceland trip, I will be posting more of this eye-catching and enjoyable “wall” art. This one of the young boy I noticed on my way from band practice on Sunday (in Arnprior; a town about a 35 min. drive from my home); it had been placed in behind various stores and the music school, where the larger parking lot is located. Make a Costume, Have some Fun! For Saturday I was invited to join the local Pathfinder group (Girl Guides) on their special trip to the Con – ie. Comic Con – which was taking place in Ottawa. The leaders and girls got dressed up, and I did, too. I gathered various specific clothing items (including borrowing one of my daughter’s costume wigs) in order to become a character from a Disney animated series that was a big favourite of my kids and I when they were younger. Can you guess my character? The lady in the hat – my friend, Christy – had assembled her costume design in the spirit of Steampunk, and her daughter, Katey (with the blue hair), was a character from an animé series. There were definitely lots of people at the Con with so many dressed in costumes – it seemed as if every fourth person was dressed up – from simpler outfits to ultra awesomely detailed costumes. There were people dressed up as characters from Star Wars, Dr. Who, Super Heroes, Star Trek, and animé. In addition, there were guest appearances in designated rooms, along with a myriad of workshops offered on a variety of topics, as well as browsing through the hall of vendors and the artists’ area. I thoroughly enjoyed seeing the costumes, AND another highlight for me was to be introduced to the world of Steampunk, which is so cool! And where the imagination knows no bounds, as people get incredibly creative, for example, blending the worlds of the Victorian era with futuristic science. With hover board and hanging onto the car – great fun! Note: Of the two DeLorean photos, the one at the top was taken by the photographer who was running this Back to the Future booth….and the bottom one was taken by Katey. For a few months now I have been a member of a photography group on facebook. A friend told me about it and how this group has weekly assignments with a theme, suggested by the admins, and support and encourage submissions by their group members. The largest part of the fun is seeing the diversity in creative ideas and submissions related to each theme. So yes, naturally, I joined! There’s no pressure to have to submit every week, particularly when some weeks can get busier in our lives. There’s always the next week to look forward to and work on new submissions. 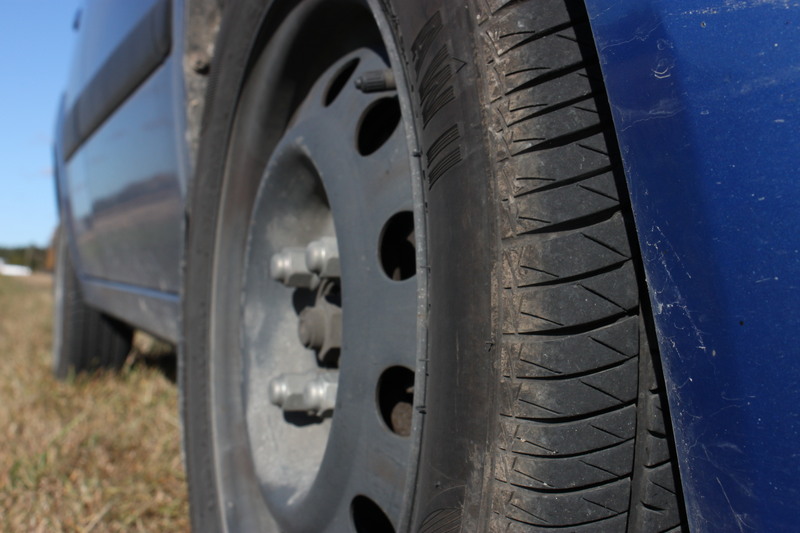 This week’s assignment was themed “Depth of Field,” with the added requirement that the objects in focus would also relate and be connected to the other objects (softly unfocused further away). So last night just before I went to bed, I thought of ideas for possible photos I could take. And then during the day, when I was able to set aside some time, I spent it in capturing those particular shots. The four above are all the ones I submitted to the group and I’ve been enjoying reading some of the comments so far. The deadlines are always Tuesday evenings, as on Wednesday morning the next theme gets posted on the page. Some other group members had already been posting some of their photos, so I tried to pick things that wouldn’t duplicate those already posted. 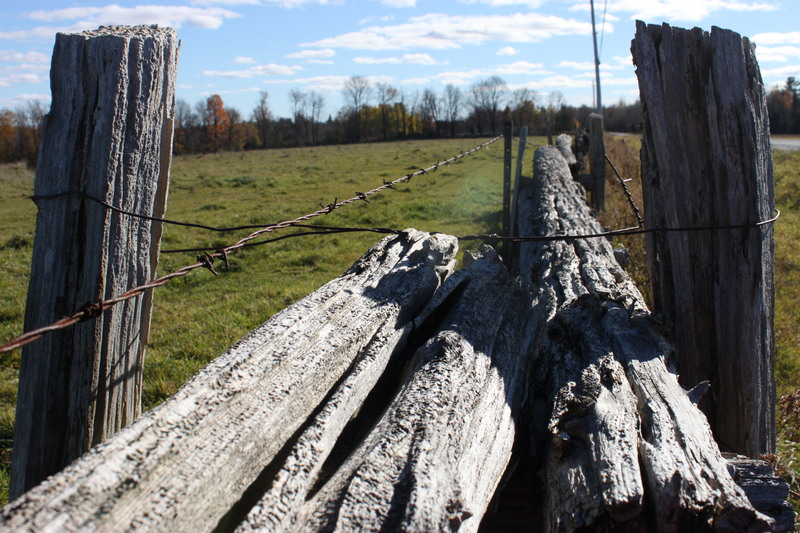 When I was driving along country roads in the morning, the bright grey of the log fencing caught my eye, and later on I returned to that spot in order to spend some time taking photos from different angles. I have taken all kinds of fun photos of my little blue KIA car, and since she just recently reached 300,000 kms, I thought she’d like to be included in this week’s assignment. Again….going for a different angle. 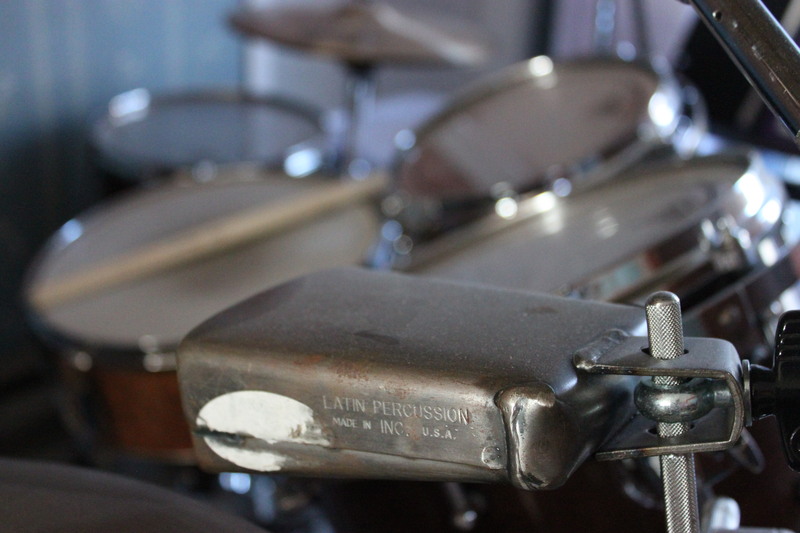 I was inspired to include my drumkit in this assignment….somehow….and when I saw the cowbell, I just went from there. 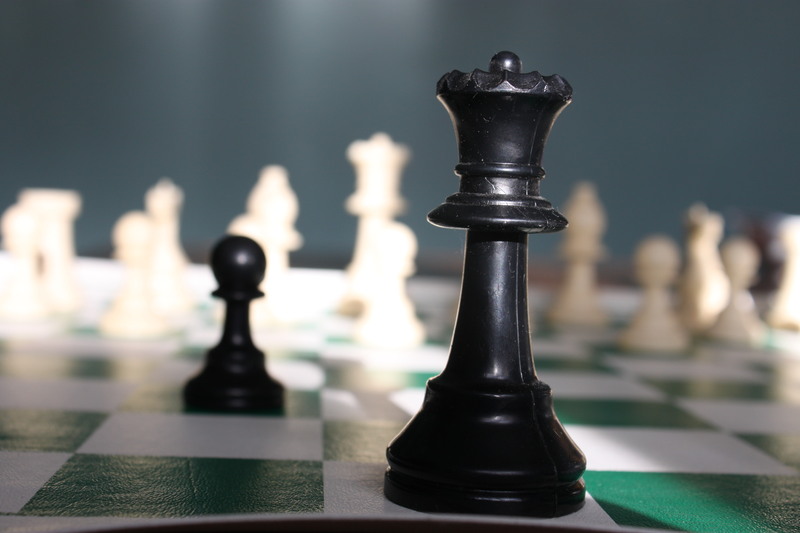 The chess game idea had also come to my mind…..visualizing even the solitary-looking black Queen against the “horde” of white pieces in the distance. So, I assembled it on our dining table and with the aid of natural light coming in through the window, I tweaked here and there until I had what I wanted. So different from anything I have known before……so stimulating, so thrilling! I finish reading through a couple of poems from a new blogger and look at the lower corner of the screen monitor. Almost 4 a.m. Wow. And I have been staying up into the wee early hours for the past couple of days. Possibly because it’s quiet in the house…..possibly because after I get the other things done, I indulge in exploring and connecting with my “new friends” in the blogging world. And what a world it is! I had no idea how my perspective, my perception would change. Blogging is opening up doors and windows to a wonderful, exciting bigger world of creative writers and artists and photographers. The discovering….the inspiring….the admiring of the far-ranging and incredible variety of thoughts and ideas and images. I am equally humbled and profoundly grateful for all of this newfound excitement! My initial foray into such reaches of online social interactions probably started with facebook, and over the past six-and-a-half years, I have thoroughly enjoyed and revelled in all that facebook offers and entices – the connecting with old friends and the making of new friends and communicating with friends I see in person often or just here and there. And so now it feels as if I have made my way to that inviting french door at the far end of the room that I have spent some time traversing – with its glass inlays and sunshine streaming through – that beckons me to open it and step into new and more wondrous places! This is bliss!